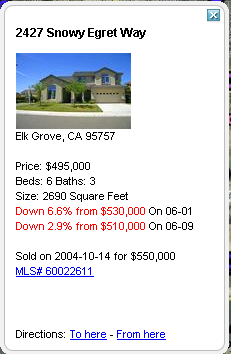 I see a lot of price reductions like this on Long Island as well. And a lot of the houses just sit and sit. In 5-years, your loan payment (including PITI) goes to $3510/mon and your loan balance is $553,298! The first year builder incentive is $30,692. I hope no one really falls for this! I'm just amazed that there's still a secondary market for these loan products (and thus companies still willing to "underwrite" them). 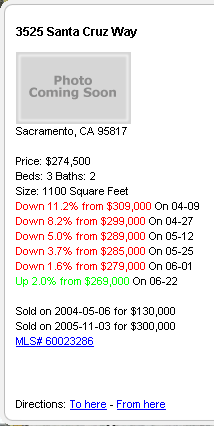 Are there still people out there who think you can really buy a $500K house for $1K a month? 3320 9th Ave - Bank repo. 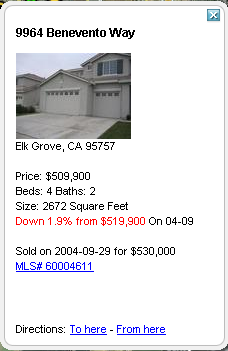 1898 Acari Ave - short sale. Existing loans of about $470K on property. 549 Morey Ave - 100% financing. You guys are right on top of this. Many thanks for your time and effort. People need to read this stuff. I drive around a new subdivision and see young working couples moving into a new house and I just want to rewind their lives about 90 days and show them where things are headed. 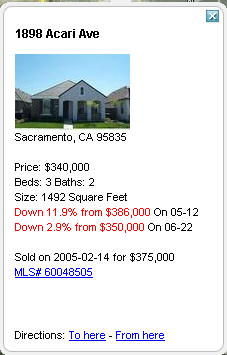 Look at the property at 2427 Snowy Egret. 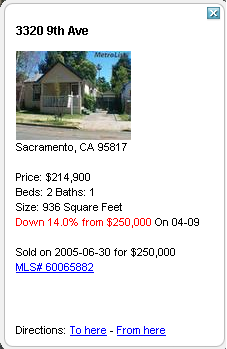 Sold by developer in early 2004 for $550,000. 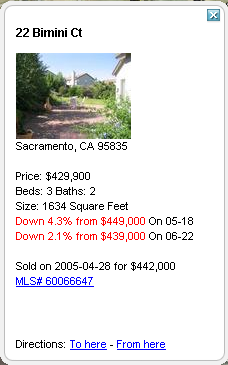 He will have to reduce price to $450,000 which is what the houses sold for in early 2002 - mid 2002 if he wants to unload the place. Problem is that the homeowner is underwater with the fishes. 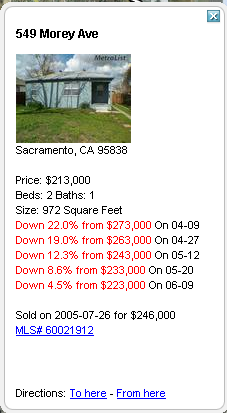 I don't think the bank will accept such a low short sale price and will take the place in foreclosure. The bank will find that they can't sell it and will drop the price to $400,000 to clear it off the books. 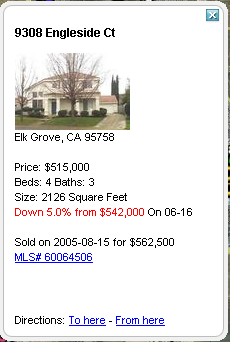 First listed at $309,000 and now cut down to $274,500. 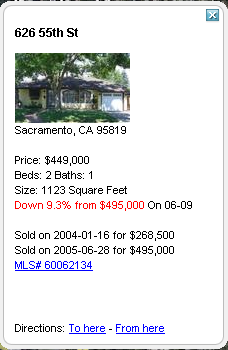 I'd like to hear some guesses as to what this house could sell for around the end of 2007.